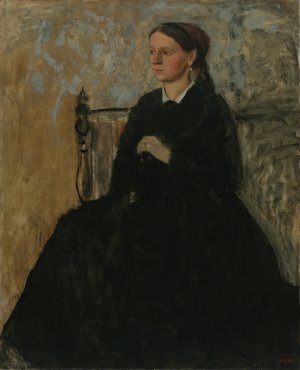 Edgar Degas : Julie Burtey ? © The Virginia Museum of Fine Arts, Richmond. 73 x 59,7 cm - 28 11/16 x 23 1/2 in. 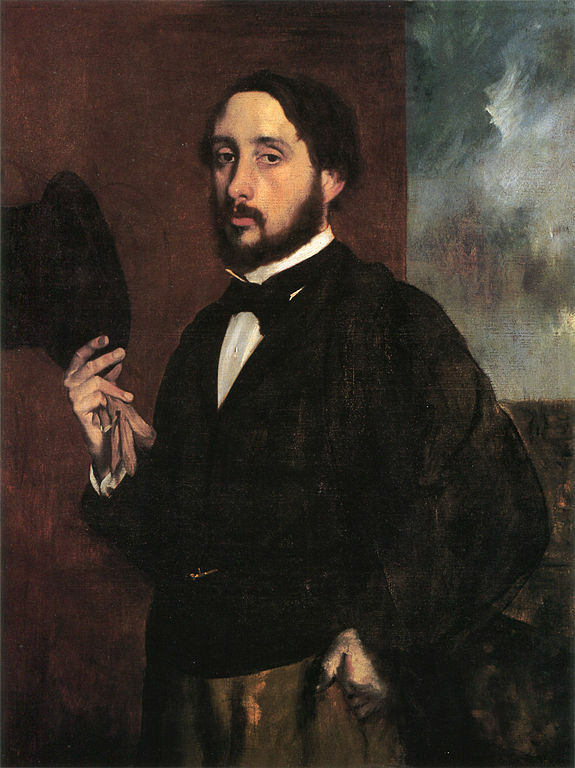 Atelier Degas – Vente Degas, 1918, I, n° 85 (repr.) - Monteux, Paris - Collection particulière, New York - Jacques Lindon - Wildenstein & Co., New York, vers 1961 - M. et Mme Paul Mellon - Richmond, Virginia Museum of Art, 1983. New York, Knoedler & Co., 1950, A Collector's Exhibition, (n.n. ), repr. p. 2 - Richmond, Virginia Museum of Fine Arts, 1962, Delacroix to Gauguin: Ten Portraits - Washington, National Gallery, 1966, n° 51 - Cambridge, Fogg Art Museum, 1966-1967, n° 55 - Zurich, Tübingen, 1994-1995, n° 88 - Pittsburgh, Paris, Nashville, Oklahoma, Jackson, 2018-2019, Van Gogh, Monet, Degas.The Mellon Collection of French Art at the Pittsburgh Frick French Art and Historical Center, n° 25, repr. p. 35. Mongan Sachs, 1940, Drawings in the Fogg Museum, I, p. 357 - Lemoisne, 1946-1949, II, n° 108, repr. p. 55 - Mongan, Sachs, 1949, p. 357 - A Collector's Exhibition, New York, 1950, p. 2 - Boggs, 1962, p. 111, pl. 35, 36 - Reff, Burlington Magazine, 1965, p. 613, n° 88 - Lassaigne, Minervino, 1974, n° 153, repr. p. 92 - Reff, The Notebook of Edgar Degas, 1976, p. 6, 110, 111, n° 2 - Rewald, cat. exp. National Gallery, Washington, 1966, n° 51, repr. p. 65 - Walters, Arts in Virginia 23/12, 1982, 1983, repr. p. 32 - Near, "French Paintings in the Collection of Mr. and Ms Paul Mellon", Apollo, décembre 1985, fig. 2, p. 457 - Near, 1985, n° 12, p. 28-29 (repr.) - Williamstown, Clark Art Institute, 1987, n° 17 - Boggs, Paris, Ottawa, New York, 1988-1989, fig. 70, repr. p. 132 - Baumann, Karabelnik, cat. exp. Kunsthaus, Zurich, 1994, p. 23, 89, 230-231, n° 89 (repr. ).